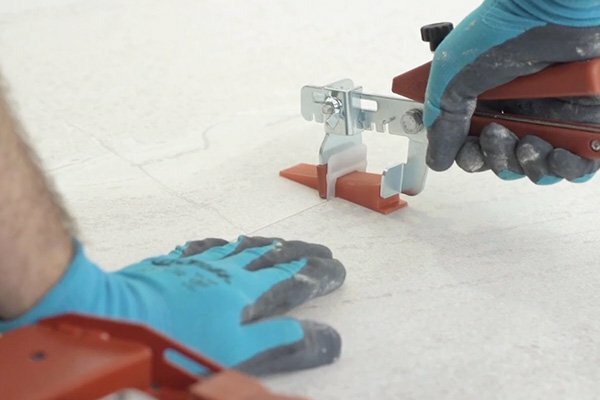 How to Handle Large Format Tiles | Florim Ceramiche S.p.A.
For handling the slabs, as well as for cutting and laying, Florim recommends the use of a kit of devices designed especially for large sizes. To increase rigidity and limit twisting, use a system composed of parallel and transverse guides for manual handling of the 160x320cm slab. For a perfect adhesion clean the slab and the suckers with a damp sponge. This device also has suckers that run along the guides and adhere to the ceramic slab. Make sure that a vacuum is created between the device and the surface. A single guide device can be used for sizes of 150cm maximum length. Florim recommends to carry out handling operations of the 160x320cm slab with four operators at the same time. Lift the slab along the long side and hang it vertically to the handles of the frame. Set the guides to the trolley needed for carrying the slab. For the 160x320cm size a suitably reinforced trolley is recommended. Florim recommends the same procedure for handling the 120x240cm and all other sub-sizes, where only two operators are sufficient. When handling, avoid contact with abrasive material, do not leave utensils or other objects on the slab’s surface. 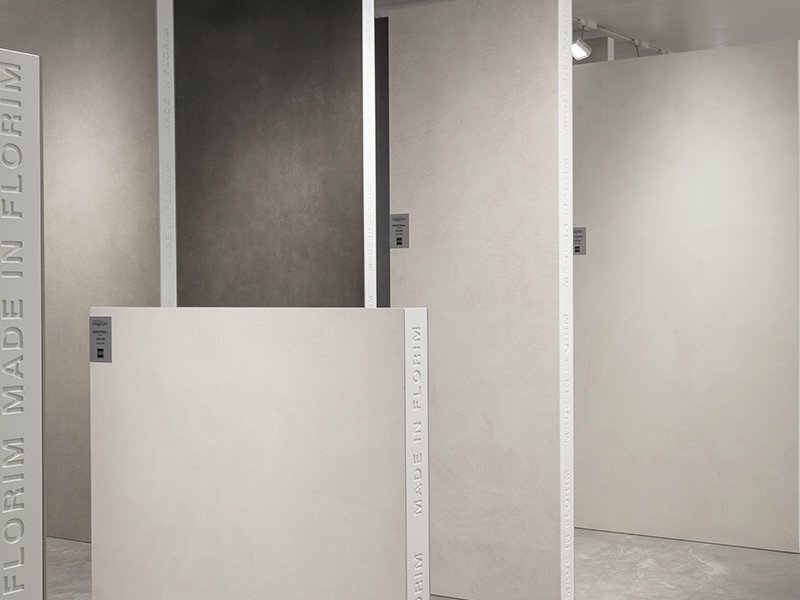 Florim Magnum large slabs range: discover the available collections for each size.